The renowned cathedral is on fire, with first images of the blaze suggesting it to be quite extensive. 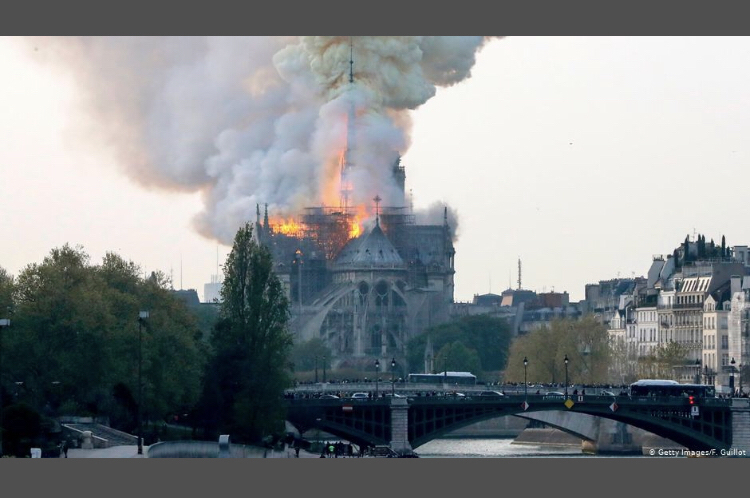 A blaze engulfed parts of Paris' iconic Notre Dame Cathedral on Monday. Images circulating on social media showed parts of its roof on fire. Reuters bureau chief in Paris, Luke Baker, published a video showing the massive blaze. • Local media reported that the fire's origins were still unknown. • Police have asked tourists to avoid the area. • Emergency services are responding to the fire.